Design and build your app, connect it to data, and run it, all inside the Dropsource editor. Use the Canvas in the center to build each page in your app visually. Customize properties, add functionality, and manage data using the editor tools. Dropsource will save your edits automatically as you work. Build your UI using standard Elements. Add functionality to define your app’s behavior. Connect to external data via API requests. Resolve errors as they come up. Test your app on the simulator or a device. Deploy your app for release. You can access help via the Help button in the editor. 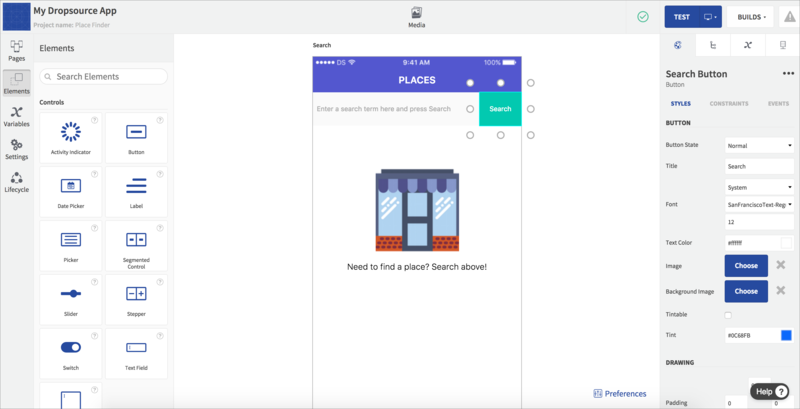 >> Get started on your app by creating a project!